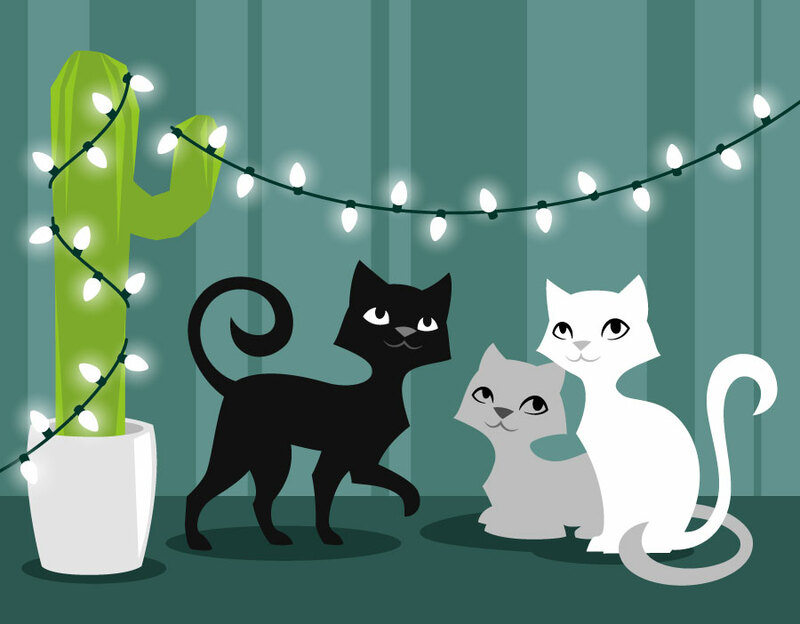 Stylized vector illustration of kittens. Artwork for holiday card for Jen's Pet Sitting. It was a pleasure having Sabine work on the artwork for my business holiday card. I needed an artist that was able to understand and work within the parameters of my established brand; Sabine was able to do that while still creating something original. Working with someone that pays attention to detail and follows through on feedback was a huge plus, and Sabine provided exactly what I needed in a timely and responsive manner. Couldn't ask for better!